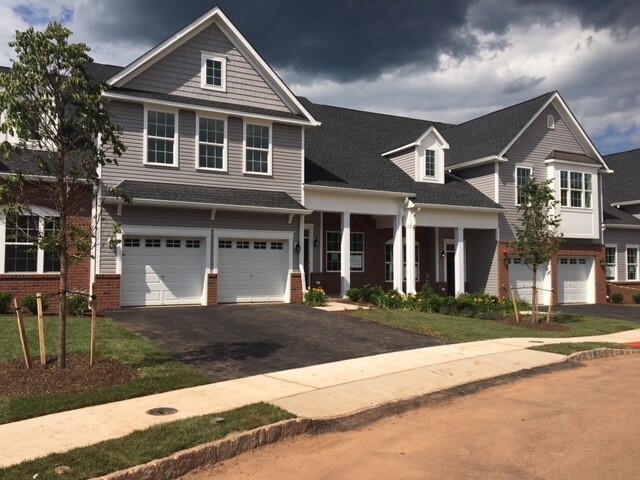 Heritage at Pennington, a brand-new community of luxurious townhomes and villas in Mercer County, New Jersey, unveils two furnished home models. Priced from the mid $400s, these spacious homes offer up to 2,500 sq. 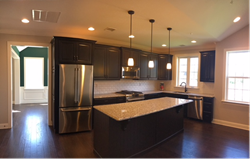 ft. of living space, 3 bedrooms, 2.5 baths, designer finishes, gas fireplaces, large walk-in closets, and abundant storage space. Join Heritage at Pennington* Saturday June 30th & Sunday July 1st, 2018 for the Model Grand Opening and be one of the first to see these exciting new townhomes! The public is invited to explore both of our professionally decorated Mercer and Rosedale models. The Mercer villa model features a master down suite and 2-car garage and the Rosedale townhome model features a master up design and 1-car garage. Priced from the mid $400s, these spacious homes offer up to 2,500 sq. ft. of living space, 3 bedrooms, 2.5 baths, designer finishes, gas fireplaces, large walk-in closets, and abundant storage space. “These exquisite residences feature open layouts, 9 ft. ceilings on both the first and second floors, granite countertops and 42” maple cabinetry in the kitchen.” said Paul Csik, Senior Vice President of American Properties Realty, Inc. “As part of the highly-regarded Hopewell Valley Regional School District, Heritage at Pennington is the perfect new home for growing families.” added Csik. Located off Route 31 in a quaint corner of Pennington Township, the community is walking distance from downtown Pennington and less than 20 minutes from the NJ Transit® Hamilton Train Station. Also conveniently located close I-95 with easy access to the NJ Turnpike, I-295 and Route 1. Those interested in attending can call (609)-559-5904 for more information or visit the Sales Office open daily 10:00am-5:00pm. GPS Address: 8 Old Foundry Drive, Pennington, NJ. Visit HeritageAtPennington.com to explore the community. American Properties Realty, Inc., A Licensed Real Estate Broker, continues its proud 40-year tradition of introducing award winning communities that provide excellent quality, convenient locations and affordable pricing for New Jersey homebuyers. The Principals of American Properties Realty, Inc., have been involved in the creation of residences ranging from luxurious estate homes to master planned communities of apartments, condominiums, townhomes and single family homes. Visit http://www.americanproperties.net to find a community that’s right for you!